We’d love your help. 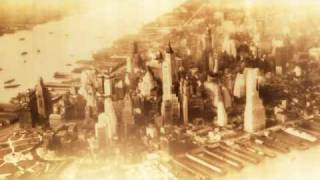 Let us know what’s wrong with this preview of New York by Edward Rutherfurd. To ask other readers questions about New York, please sign up. Anyone have an anecdote from ancestors about the Great Influenza Pandemic of 1918? Some called it the Spanish Flu because of the publicity that came from Spain about it. The rest of Eurpoe was too busy fighting WWI to report on flu. Reminds me of James Michener. It’s billed as assessable history, so depending on your base line parts seem rushed and lite. In places the research shows like the opposite of an actor giving a seamless performance. But, he covers a lot of territory from angels I don’t often read—Lincoln’s Gettysburg Address from a press photographer’s point of view. Follows a prospering mostly WASP family from New Amsterdam to post-911. Their name is Masters. Stop rolling your eyes if they get stuck looking into t Reminds me of James Michener. Follows a prospering mostly WASP family from New Amsterdam to post-911. Their name is Masters. Stop rolling your eyes if they get stuck looking into the back of your head then you can’t read anymore. There are other families to illustrate slavery, natives, and immigration. No point in getting to attached to any of them for the most part they’ll be gone in a few chapters. There are wars to prosper from and fires to fight. The city is the star no matter which story line your following. I loved those independent Dutch women. Edward Rutherfurd is an exceptional historical fiction author. His attention to details, the character development, the emotion, the settings, the multi-generations bring his books to life. If historical fiction is a genre you love and you haven't read any of his books yet, it's a must. And perhaps New York is the perfect Rutherfurd novel to start with. 1. It's told in sequence, no jumping from the past to the present like in Paris, so it might be easier to follow for some. The novel starts w Edward Rutherfurd is an exceptional historical fiction author. His attention to details, the character development, the emotion, the settings, the multi-generations bring his books to life. If historical fiction is a genre you love and you haven't read any of his books yet, it's a must. And perhaps New York is the perfect Rutherfurd novel to start with. 1. It's told in sequence, no jumping from the past to the present like in Paris, so it might be easier to follow for some. The novel starts when New York was called New Amsterdam and ends in the 1960's. Long before skyscrapers, there was a wildness, a wickedness, and Rutherfurd does an outstanding job of sharing the good, the bad, the ugly, the touching, the heartbreak, the hope, the love and passion. 2. The characters are incredibly fascinating and you'll want to follow their lives. 3. Despite the length of this novel, it's an easy read. 4. Multi-generational with appearances by famous Americans. 5. Relatable. Even if you've never been to New York, New York is a place Americans know. But I've also learned through my travels around the world that many people from other countries equate New York to America. It is by far our most iconic city, and this is an opportunity to learn so much more. "People came here for freedom and, hard though the way up might be, they found it. To make it, you needed the work ethic." "No matter how hard things were, New Yorkers never gave up." This was a fascinating story that encompassed over 300 years. Starting in 1664 when present day New York City was a Dutch fort and trading post through 2009 as New Yorkers, and America, showed it's resilience following the terrorists attacks of September 11, 2001. There are many stories that make up this novel. Each "People came here for freedom and, hard though the way up might be, they found it. To make it, you needed the work ethic." This was a fascinating story that encompassed over 300 years. Starting in 1664 when present day New York City was a Dutch fort and trading post through 2009 as New Yorkers, and America, showed it's resilience following the terrorists attacks of September 11, 2001. There are many stories that make up this novel. Each story is from a different chapter in the history of this magnificent city. When the Dutch and native American Indians lived and worked together. When the seeds of independence from Britain were planted and you were either a Patriot or a Loyalist. When the country was torn apart by the Civil War and brother fought brother. Just because New York is in the north did not mean that everyone was an abolitionist. Sometimes there were splits within families. There were many tragedies and disasters throughout it's history. There were also many triumphs and accomplishments. Throughout New Yorkers persevered. This story centers mostly around the Master family who started as traders and later became bankers. They are the well to do. The blue bloods. The people with the money, nice houses, and everything that goes with their status. But this is just not about a well-to-do and successful family. New York is rich and culturally diverse. There are Italians, Irish, Germans, Jews, who came to New York. In this novel you read about some of these families who arrived at Ellis Island with little more than their clothing and who through hard work raised families and found success. I love this book. So much so that I wrote an article about it. ... The author managed to tell not only the historical story of the city but also conveys the changes in mood, attitude, and life for New Yorkers over the centuries. For example, the way the characters relate to each other during the Revolutionary War, such as the concern for the whole rather than the individual, is vastly different from how they interact at the close of the book during the summer of 2009 and as it should be. The onl I love this book. So much so that I wrote an article about it. ... The author managed to tell not only the historical story of the city but also conveys the changes in mood, attitude, and life for New Yorkers over the centuries. For example, the way the characters relate to each other during the Revolutionary War, such as the concern for the whole rather than the individual, is vastly different from how they interact at the close of the book during the summer of 2009 and as it should be. The only fault I have with the book is that the descendants of Quash the vanDyck's slave, Pale Feather, and Salvatore fell to the waste side in favor of the more traditional (and frankly easier to write) high society Master family. What became of Quash’s other descendants? Surely there could have been more to that side of the story than a tragic end during the NYC Draft Riots or Pale Feather’s family beyond the opening of the canal. It was only my love for Edward Rutherfurd in general that kept me slogging through this book. Sarum was the book that converted me to a Rutherfrudite; it's still one of my all-time favourites. That book was clearly more personal than New York, because Rutherfurd gave it both a strong sense of time and place that kept me riveted. His characters were part of the fabric of their time and place, and the story was memorably strong. New York, on the other hand, feels like a publisher's mandate to an a It was only my love for Edward Rutherfurd in general that kept me slogging through this book. New York, on the other hand, feels like a publisher's mandate to an author--"Keep up with the gimmick that makes us cash". There isn't much of a feel of the city in its old days. Sure, Rutherfurd tries to convince us (in the first 400 pages I think he mentions the 'gabled Dutch houses' about 50 times), but instead this book comes off like something that would happen if you did enough research into a place to fill your publisher's mandate but didn't actually care about it all that much. The real problem, though, started for me about the time of the War for Independence and continued right on through to the end. There is an off-putting pedanticness about this book, with Rutherfurd feeling the need to lecture to his readers about American History. When he brings up things like Lincoln's proposed resettlement of the freed slaves there is an undertone of arrogance, as though the author is saying "Ha! Betcha ignoramouses in America didn't know THAT!!!" I suppose if you are not a history buff, you won't feel as patronised as I did while reading this book. Then again, I suspect that a large share of his audience might be somewhat attuned to History, as that is the overarching theme of his works as a whole. It's a good book. But don't expect diversity in the story. Rutherford tailors his narrative pretty closely to the experiences of the Masters-to the detriment of the other families. Rutherford has chosen to avoid aspects of New York (Five Points/the Harlem Renaissance/the infant film industry/Broadway)that could have been mined for fascinating reading. It's the narrowness of the focus that really is the most frustrating aspect of the book. It's a good book, but it's not diverse. New York is an amazing, detailed and powerful novel, a chronicle of many people who were able to call this city home over decades of time. It’s no secret that Edward Rutherfurd is at the top of my list when it comes to favorite authors of historical fiction. I have been dying to read his latest New York since it first came out. I decided to wait, however, and put it on my book club reading list. Finally, the wait was over, and was it ever worth the wait! In New York, Rutherfurd opens the novel in the year 1664, when the city was just a settlement called New Amsterdam. Like his other novels, the author takes a family or two, and carr It’s no secret that Edward Rutherfurd is at the top of my list when it comes to favorite authors of historical fiction. I have been dying to read his latest New York since it first came out. I decided to wait, however, and put it on my book club reading list. Finally, the wait was over, and was it ever worth the wait! 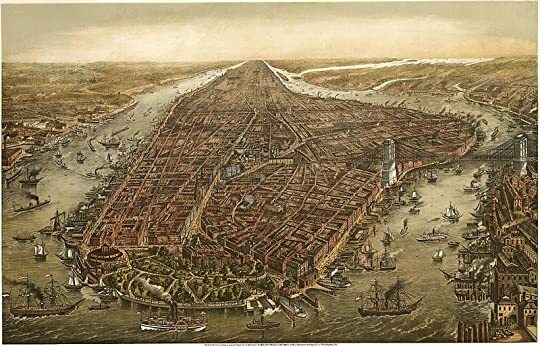 In New York, Rutherfurd opens the novel in the year 1664, when the city was just a settlement called New Amsterdam. Like his other novels, the author takes a family or two, and carries their story forward in time. You follow them and watch how the historical events and the growth of the city affects them. In so doing, the reader has an opportunity to learn about history and, at the same time, is marvelously entertained with a sweeping, family saga. I think this book is Rutherfurd’s best. He has a way of seamlessly including historical events in a way that does not seem contrived. Even if you already know the history, be prepared to be surprised. The author knows how to capture your interest and keep you with him through the entire 862 pages. Unlike some of his previous novels, the jumps in time aren’t nearly so great here. That’s a plus, because I never felt I had to give up a character or a storyline before I was ready. I really enjoyed most of this book. It's for anyone who likes novels that provide great history along with fiction... this novel traces the history of New York... my problem is that he dropped the storyline for the African-American family story line without much ceremony as if African American families didn't have a role in modern New York. Another Rutherfurd novel I really enjoyed! Of course, it's not sophisticated literature, but Rutherfurd's concept is ideal for history nerds like myself, I love looking all kinds of things up and studying maps while reading enjoyable fiction. Im frühen siebzehnten Jahrhundert gründen niederländische Siedler an der Südspitze der amerikanischen Insel Manna-Hatta eine Siedlung, die sie „Neu-Amsterdam“ nennen. Etwa 50 Jahre später haben sich Kaufleute dort niedergelassen und einen bescheidenen Wohlstand erwirtschaftet. An diesem Punkt setzt Rutherfurds Geschichte mit der ersten einiger fiktiven Familien ein, anhand derer er die Geschichte der späteren Metropole New York von den Anfängen bis zu den schrecklichen Ereignissen des 11. September 2001 erzählt. Zugegeben, Edward Rutherfurds Bücher sind keine großartige Literatur. Für Geschichtsfreaks wie mich oder Fans der jeweiligen Städte oder Regionen ist sein Konzept jedoch genial – die Geschichte des Ortes wird verpackt in die Erlebnisse mehrerer Familien über zahlreiche Generationen hinweg erzählt. In kaum einen Roman erhält man so geballte Informationen und wird dabei noch bestens unterhalten. So bin ich Edward Rutherfurd seit meiner Jugend treu und lese alle seine Bücher. „New York“ gehört zu den Werken, die mir besonders gut gefallen haben. Auch wenn ich kein USA-Fan bin, fasziniert mich doch die Geschichte des Landes. Ich war noch nie in New York, aber die Metropole ist aus TV-Bildern, Büchern und anderen Medien doch so vertraut, dass ihre Entstehungsgeschichte richtig spannend für mich war. Ein Aspekt, der mir sehr gut gefallen hat, war, dass Rutherfurd viele Ereignisse schildert, die weniger bekannt sind und speziell New York betreffen. So wird zwar der Unabhängigkeitskrieg sehr ausführlich behandelt, weil New York hierfür auch ein wichtiger Schauplatz war, aber den Bürgerkrieg erlebt der Leser in dem Buch eher indirekt: Es werden keine der bekannten Schlachten thematisiert, sondern die Draft Riots von 1863, ein Aufstand gegen die Wehrpflicht, bei dem insbesondere Schwarzen nachgestellt wurde, die man für den Krieg verantwortlich machte. Ein weiteres Beispiel ist das verheerende Feuer in der Triangle Shirtwaist Factory, bei dem 146 Arbeiterinnen und Arbeiter ums Leben kam, unter anderem, weil Türen verschlossen waren, um Arbeiter am Müßiggang zu hindern. So bringt Rutherfurd auch viele soziale Themen ein, der Brand war unter anderem der Anlass für eine Verbesserung der Arbeitsbedingungen in den USA. Weitere Themen sind die High Society von New York, der einem Adelsstand gleichkam, sowie Antisemitismus. Was mich ein wenig gestört hat, war, dass die Geschichte einiger Familien im Verlauf des Buchs abreißt und nicht mehr weiterverfolgt wird. Insbesondere der schwarzen Familie und den indianischen Nachfahren der ersten Hauptperson hätte mehr Raum gegeben werden können. Auch fand ich es schade, dass nicht wie in den anderen Büchern Rutherfurds ein Stammbaum der Familien angegeben war – zumindest nicht in meinem Arrow Books-Paperback. Nichtsdestotrotz habe ich die Lektüre von „New York“ fast so genossen wie die von „London“ (aber nur fast!) Ich habe ständig in die Karten geschaut und bei Wikipedia vieles nachgelesen, Bücher, die mich auf diese Art und Weise fesseln, machen mir besonders viel Spaß. Und die letzten 120 Seiten musste ich in einem Rutsch lesen. This novel begins, in 1664, with a tiny Indian village and Dutch traders. It ends in 2009 with an epilogue. In between, the journey through the generations of the fictional families Mr Rutherfurd has created traverses many of the major events in the history of both New York and America. From New Amsterdam as a Dutch trading settlement, through the period of British colonisation, and the War of Independence, the creation of the American nation, and the Civil War: these were the parts of the novel that held my attention most closely. This novel is about the evolution of New York, and the various families, characters and historical figures are important because they illuminate places, issues and times. This is not a history of New York, and some inaccuracies may aggravate those who spot them. While I enjoyed the novel, I found the characters less engaging towards the end. The earlier parts of the novel were well served by Mr Rutherfurd’s focus on the lives of families living through the historical events. By the end of the novel, the focus was almost entirely on one family and I found myself wondering about some of the others and the resolution of the issues they had been facing. 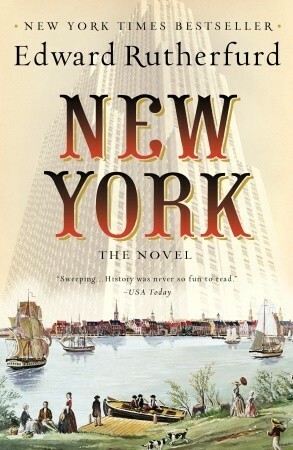 I think that this novel primarily depicts the historical development of New York from an economic and political perspective, and this makes sense when looking at a city over a period of nearly 350 years. An absorbing work of historical fiction: I’m glad I read it. Disappointing. Recommended by a friend whose taste I trust, but I couldn't finish it. John Masters is like an Early American Forrest Gump - not too bright and lots of famous people make cameo appearances in his life... Sam Adams, Ben Franklin, John Jay, etc. I stopped reading after about 250 pages and just skimmed bits to the end. I enjoyed Sarum and thought Rutherfurd was a good storyteller, but his writing seems really simplistic in New York and I was bored. Love all of ER books and all the research he puts into them...this one included! Hope he at some point will write about other major american cities. Any readers of his previous books will want to make sure and read this one. It starts in 1600's with the Dutch settlers and Native Americans and moves forward from there to around 2011. Well worth the time you put into reading the 850+ page novel. If you enjoy historical fiction you should read this book. If you enjoy New York you should read this book. If you enjoy both, you must read this book. There’s already over 2,700 reviews and, as always with Goodreads, a diverse set of ratings and perspectives, however, I loved every aspect of this amazing saga. The writing and storyline was so good I found myself saying longer than ever on the elliptical at the gym without checking the time or social media in order to keep up with the Master fami If you enjoy historical fiction you should read this book. If you enjoy New York you should read this book. If you enjoy both, you must read this book. The writing and storyline was so good I found myself saying longer than ever on the elliptical at the gym without checking the time or social media in order to keep up with the Master family through the generations as the world’s greatest city’s history unfolded. I don't know how Edward Rutherfurd does the research to write these immense historical novels about different times and places. My first Rutherfurd novel was Sarum, which covered the entire history of England from the earliest Celts to the modern day. New York doesn't go back quite so far - only to the 1600s, and the beginnings of New York, but as with Sarum, it spans centuries of history by following the ups and downs of several families, who grow up in and with the city, sometimes leave and return, sometimes are very much aware of their ancient lineage and sometimes have no idea when they are speaking to someone whose ancestors did business with their ancestors right in this same city. You, the reader, become attached to the Van Dycks, the Masters, the Kellers and the O'Donnells, all weaving their way through history and being joined by newer families along the way. All of the "main characters" in the book are fictional, but they meet with real historical figures, and experience historical events. It's a grand, sweeping epic, driven by the melodramas of individual characters. We know that the Revolutionary War is coming, and how it will end, just as we know about the Civil War, and World Wars I and II, and in the final chapters of the novel, 9/11. But our fictional families go through it all as it happens. The central figures in New York, the ones who are present through every generation, are the Van Dycks and the Masters. Originally Dutch and Puritan arrivals in New York, respectively, they intermarry and become one of the wealthy "old money" families of the city. At one point they reckon themselves at the top of the social order, but as the 19th century ends, even though they are still wealthy, they are being eclipsed by the Morgans, the Duponts, the Rockefellers, and in the early 20th century, wars and depressions reduce them to "genteel" circumstances. Still rich (as another character puts it, "What a strange world in which becoming poor meant moving to an apartment on Park Avenue! "), but now just rich compared to the average New Yorker. As the family's fortunes continue to wax and wane, they continue to be affluent, but still looking up at the titanic fortunes of investment bankers and dot.com billionaires. There were no uninteresting chapters. Whether it was the Dutch/English rivalries in early Manhattan, the conflict between Patriots and Loyalists as New York weathers the American Revolution, the draft riots of the Civil War era, the Flapper and Speakeasy era, the collapse of the economy in the Great Depression, the changing times of the 50s and 60s, or the turn of the 21st century, every era of history was illustrated not by an infodump about the historical events, but by returning to our friends the Masters, the Adlers, the Kellers, the Carusos, and seeing how they are faring. Another thoroughly enchanting and engaging historical fiction by Edward Rutherford. A master of the "James Michener School" of long, exhaustively researched, examinations of important historical places, achieved by creating compelling narratives at crucial points along the historical timeline that bring to life for the reader the place and the events that make it matter. Some years ago, I read Rutherford's "London" in the hope that it would enhance my enjoyment of a then planned visit to the gre Another thoroughly enchanting and engaging historical fiction by Edward Rutherford. A master of the "James Michener School" of long, exhaustively researched, examinations of important historical places, achieved by creating compelling narratives at crucial points along the historical timeline that bring to life for the reader the place and the events that make it matter. Some years ago, I read Rutherford's "London" in the hope that it would enhance my enjoyment of a then planned visit to the great city, and I was rewarded beyond my wildest expectation. As a native New Yorker, I can say without hesitation, that anyone seeking to visit "The Big Apple" would do well to read this book first. Do not be put off by the length (860 pgs., incl. an epilogue, that surveys the history from New Amsterdam of 1664 - 2009,)because Rutherford is sucha magnificent storyteller, that you will be glad for the feeling that there is always a little more. 30 CDs. I think this is the longest audiobook I've ever listened to! I was trying to remember how long the Harry Potters were, but I think this one wins. And, ohhhh, it was good. I love me a good epic, and Rutherfurd always delivers. This looooong adult novel covers the history of New York from the natives on Manhattan island to the fall of the World Trade Center. Several families are followed along the way, and the intertwining of them all makes the epic fascinating to follow. This kind of book 30 CDs. I think this is the longest audiobook I've ever listened to! I was trying to remember how long the Harry Potters were, but I think this one wins. Fantastic; thoroughly enjoyed this book and made me want to go out and get his other ones. I love history and have had a fascination with New York since I was a little girl. The author weaves the stories of his fictional characters against the backdrop of all the major events in New York's past so easily, it's almost impossible to tell you're getting a history lesson at the same time. I will definitely be exploring Edward Rutherfurd's other books. My dad gave me this book for Christmas and I am very glad he did because I'm not sure I would have picked it up on my own but I really enjoyed it. The story traces the lives of members of the Master family and a few other families who become connected to them beginning in the mid-17th century and continuing through to the present. I literally couldn't put this book down, I was totally immersed in it and carried it with me everywhere I went for weeks just so I could read it whenever I had a minute My dad gave me this book for Christmas and I am very glad he did because I'm not sure I would have picked it up on my own but I really enjoyed it. The story traces the lives of members of the Master family and a few other families who become connected to them beginning in the mid-17th century and continuing through to the present. I literally couldn't put this book down, I was totally immersed in it and carried it with me everywhere I went for weeks just so I could read it whenever I had a minute. I also learned a lot about New York City history, which was very interesting at times. That said, I do have a few criticisms, the major one being that sometimes the author would just sort of let a character's storyline die without telling the reader what happened to them. I'm a curious person and I like to know how a story ends! Also I think some would argue that the book sometimes tends to take a romanticized, Gone With the Wind-like view toward slavery and class relations--while violence and brutality certainly play large roles in the book, the Master family treats their slaves and later, their immigrant servants, like valued members of the family. An epic historical novel that begins in 1664 and ends with the collapse of the World Trade Center in 2001. The story focuses mainly on the Master family and spans generations. Throughout the years, the Master family members are linked in different ways to other ethnic groups, so a lot of side stories develop. All of the stories take place in New York, so the city becomes a central focal point with a life of its own. We learn about the early Dutch settlements, the local Indian villages, the War o An epic historical novel that begins in 1664 and ends with the collapse of the World Trade Center in 2001. The story focuses mainly on the Master family and spans generations. Throughout the years, the Master family members are linked in different ways to other ethnic groups, so a lot of side stories develop. All of the stories take place in New York, so the city becomes a central focal point with a life of its own. We learn about the early Dutch settlements, the local Indian villages, the War of Independence, the Civil War, the arrival of immigrants, the construction of the first skyscrapers, and Wall Street. There are a lot of descriptions about geography, economy, and political events, so the actual main characters became secondary to the drama involving the city’s growth. Even though the book is long and some parts are overly descriptive, by the end of the novel I was ready to buy a plane ticket to New York. My first Rutherfurd work was Sarum, his novel telling the story of the history of England by focusing on five lineages down the centuries in the area around Stonehenge and Salisbury Cathedral. The style wasn’t anything special, even clunky at times, and with almost 9,000 years of history to cover, few characters ever felt fleshed out. It was a novel more broad than deep; it was historical fiction, almost more dramatized history text than stories with history as a backdrop. All of that can also b My first Rutherfurd work was Sarum, his novel telling the story of the history of England by focusing on five lineages down the centuries in the area around Stonehenge and Salisbury Cathedral. The style wasn’t anything special, even clunky at times, and with almost 9,000 years of history to cover, few characters ever felt fleshed out. It was a novel more broad than deep; it was historical fiction, almost more dramatized history text than stories with history as a backdrop. All of that can also be said of New York: the Novel which tries to encapsulate about 350 years of the history of New York City, mostly by following one family of English descent, the Masters, who early on married into one of the founding Dutch families, but as with Sarum, the effect is cumulative, and I found myself completely engaged through its 860 pages. I’m a native New Yorker, and as such so much of this book in the very beginning was irresistible. The book starts in 1664 when the population of New York City (New Amsterdam then) was only 1,500 people. I had a blast seeing all the Dutch Colonial origins of the name places around my city, some of which I knew (Wall Street, Canal Street, Harlem, Broadway, Manna hata, Bronck's land) and some not (Jonkers, Bouwerie, Pearl Street). The book, although focused on the Masters, also includes cameos by such historical figures as Peter Stuyvesant, Benjamin Franklin, George Washington, J. P. Morgan, Enrico Caruso. The chapters are almost more connected short stories than one united narrative with decades sometimes passing between them. I found among the most striking the early chapters, “New York” and “New Amsterdam” (Margarethe de Groot featured there was among the strongest female characters in the book), “The Patriot” and “Vanessa” which skillfully depicted the growing divide between the colonies and Mother country, “Draft” about the 1863 Draft Riots, “Old England” where an Irish family reinvents its past. Some reviewers complain the portrait of New York City isn’t diverse enough. I think that’s a casualty of Rutherford’s formula of trying to follow the history of the city through just a few families from the beginning, and particularly putting such emphasis on the Masters. I do feel Sarum did better in interweaving the various lineages over the centuries. Early in New York there was a thread about a family of African Americans. One early chapter was even written first person from the point of view of a slave in that family, but the African American story in the novel petered out and disappears after the Civil War. Irish and German immigrants don't come into the novel until after a good third of it has passed and Italians and Jews not until well after the half-way mark. Even though Rutherfurd mentions that there had been Jewish families in the city from the days of the Dutch, the novel doesn’t really deal with Jewish life in the city before the 1950s. I felt Rutherfurd missed an opportunity not making one such family a thread in his tapestry from the beginning, though I imagine he worried that might make things too unwieldy. He could have kept the Native American thread going too. Not many of the original Lenape are still here, that's true, but until recently there was a community of Mohawks in Brooklyn for over a century; a lot of Mohawks were involved in building our skyscrapers. No Asians are even mentioned until very late in the novel--there's nothing here about Chinatown at all. Centering the narrative on one family isn’t the best way to view such a dynamic, changing city. So many New Yorkers came from somewhere else, and few of us have roots that go deep: my father was born in Baltimore, Maryland, where his family had been for ages, my mother in rural Puerto Rico. My family’s own intersection with the city would only cover the last 150 pages of this multigenerational saga. It’s in the last chapters from the 1970s on where I can speak from personal experience I found weakest, that I thought rushed and where parts didn’t ring true. It’s a small thing, but he got wrong the details about the top three public high schools students could enter through competitive examination. Hunter high school would have still been an all girls school at the time his character Juan Campos could have attended. The three magnet public high schools in the sixties and beyond a boy could attend were Stuyvesant, Bronx Science--and Brooklyn Tech, not Hunter. I went to one of those schools--much later than Rutherford’s character would have, but no I can’t imagine Puerto Ricans being discouraged from trying or attending the way Rutherfurd presented it--not by that time anyway. There was nothing about the homeless problem that hit New York City in the 80s that was such a shock to me when I first saw it in my youth. (I recently read New York City is home to 14 percent of the national homeless population.) Nothing about how AIDs hit the vibrant gay community in New York (Gays and lesbians are almost invisible in this massive novel. There's just a brief mention in one of the last chapters of someone in one of the families being gay and of the Stonewall riot.) And Rutherford had only this to say about the Dinkins years: “Mayor Koch had been succeeded by Mayor Dinkins who, as an African American, had been perceived as more sympathetic to the troubles of Harlem and the other deprived areas.” Nothing about the Crown Heights riot that took place during those years that were a watershed for the city. Rutherford devotes a chapter to the 1977 blackouts, but not one line about what was, I think, as much a shock to New Yorkers. Mind you, it’s still a bitter, still a controversial event; I realize that. Dealing with it and its repercussions in New York City would have taken guts. But what else is fiction for? In 1664 in the Dutch settlement of New Amsterdam, a Dutch settler with the name of Van Dyck begins a family tree that will span multiple generations, up until the 9/11 attacks on the World Trade Center. Married into the Master family, the generations will span about 350 years. Due to good marriages and well off merchants, the Master family thrives and will - even in the stock market crashes of 1907 and 1929 - keep their fortunes. Apart from the Master family, there are some parallel families who a In 1664 in the Dutch settlement of New Amsterdam, a Dutch settler with the name of Van Dyck begins a family tree that will span multiple generations, up until the 9/11 attacks on the World Trade Center. Married into the Master family, the generations will span about 350 years. Apart from the Master family, there are some parallel families who are also traced for multiple generations, such as Quash and his son Hudson, who are able to escape slavery. Or the O’Donnels, Kellers and Caruso’s, who also play their part in the book. During the book the reader is confronted with some of the highlights in the history of New York, such as the English takeover, the American Civil War and the 9/11 attacks. I have always thoroughly enjoyed Rutherfurd. His Sarum was a seminal book and captured my imagination. This one is just as long and goes from New Amsterdam all the way to 9/11. The early chapters are very enjoyable and one of them shows a slaves view of early New York which was fascinating. If I have any quibbles only that characters do tend to exit off stage. I wanted to know what happened to the flawed Margaretha De Styl, the Dutch merchants character who did the dirty on the elderly slave - bu I have always thoroughly enjoyed Rutherfurd. His Sarum was a seminal book and captured my imagination. This one is just as long and goes from New Amsterdam all the way to 9/11. The early chapters are very enjoyable and one of them shows a slaves view of early New York which was fascinating. If I have any quibbles only that characters do tend to exit off stage. I wanted to know what happened to the flawed Margaretha De Styl, the Dutch merchants character who did the dirty on the elderly slave - but she just disappeared. The only other thing is it could be abit more desctiptive of places, architecture. But a breezy read and written by an Englishman. An Englishmans angle on the revolutionary war is quite interesting. Mel Gibson eat your heart out. This was a very good book. It is a historic fiction book. Usually, I read non-fiction books. However, this was the first historic fiction book that I’ve read. In the beginning, I found it difficult to determine what was fiction and what was history. However, as I progressed in the book, I began to appreciate the history in each chapter. The author does a good job of having descendants appear in each of historic events. The book covers events that took place in New York City from 1664 through 2009. I This was a very good book. It is a historic fiction book. Usually, I read non-fiction books. However, this was the first historic fiction book that I’ve read. Francis Edward Wintle, best known under his pen name Edward Rutherfurd, was born in the cathedral city of Salisbury. Educated locally, and at the universities of Cambridge, and Stanford, California, he worked in political research, bookselling and publishing. After numerous attempts to write books and plays, he finally abandoned his career in the book trade in 1983, and returned to his childhood h Francis Edward Wintle, best known under his pen name Edward Rutherfurd, was born in the cathedral city of Salisbury. Educated locally, and at the universities of Cambridge, and Stanford, California, he worked in political research, bookselling and publishing. After numerous attempts to write books and plays, he finally abandoned his career in the book trade in 1983, and returned to his childhood home to write SARUM, a historical novel with a ten-thousand year story, set in the area around the ancient monument of Stonehenge, and Salisbury. Four years later, when the book was published, it became an instant international bestseller, remaining 23 weeks on the New York Times Bestseller List. Since then he has written five more bestsellers: RUSSKA, a novel of Russia; LONDON; THE FOREST, set in England's New Forest which lies close by Sarum, and two novels which cover the story of Ireland from the time just before Saint Patrick to the twentieth century. His books have been translated into twenty languages.